The headlines were striking enough, for example the Daily Mail declared that 'Breast cancer patients who eat cheese, yogurts or ice cream could HALVE their chances of survival', while the Daily Mirror ran the headline 'High-fat dairy food increases risk of death in breast cancer patients'. The question is are these scary headlines warranted? The source of the headlines is a study that looked at dairy intake in women after they had been diagnosed with early-stage invasive breast cancer between 1997 and 2000. These women were asked to fill in questionnaires about their diet, and these were followed up five or six years later. The researchers then looked at the associations with dairy intake and outcomes. The reported outcome was that intake of high-fat dairy was associated with a great risk of death, both from cancer and other causes. The first thing to say is that this paper is not open access. It's published in the Journal of the National Cancer Institute (JNCI), which is a tax-payer funded body, and it's outrageous that scientific research like this is kept away from the public. When there's a story as potentially important as this then there's no excuse for keeping the data behind a pay-wall. US tax-payers should be demanding that the JNCI switch to open access publishing immediately. That said, and without access to the full paper, there are some comments to make on what's reported in the abstract of the paper. Firstly this is a study that depends on questionnaires. 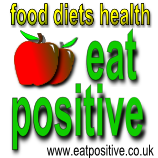 This is one of the most unreliable sources of information on long term diet that there is. It depends on people being able to accurately remember what they eat and drink, and that they're not lying to themselves or trying to impress the people running the survey. In a long time frame, it also means the researchers have to make assumptions about the long periods between questionnaires. Remember, the researchers are trying to establish the cumulative intake of dairy. Secondly, the researchers lumped all types of dairy product together - so it's milk, yoghurt, cream, cheese, custard and so on. Without access to the full paper it's hard to know how they can justify lumping all of these different foods together. Thirdly, the headlines are based on the reported hazards ratio, which in the case of the high-fat group was reported as 1.49 (presumably that turned into the 50% statistic that was bandied about in the press). But the key thing is that the hazard ratio is not a measure of the relative probabilities of death. The figures tell us nothing about absolute risk. It's also worth pointing out that most research that has looked at breast cancer and dairy has found no association. In fact one recent meta-analysis (a study that summarises data from other studies and trials), found that dairy consumption was associated with a reduced incidence of cancer (take a look here: http://www.ncbi.nlm.nih.gov/pubmed/21442197). In multivariable-adjusted analyses, overall dairy intake was unrelated to breast cancer-specific outcomes, although it was positively related to overall mortality. Low-fat dairy intake was unrelated to recurrence or survival. Overall, there was a lot of hype and some scary headlines, but the paper doesn't look like it's likely to stand much scrutiny. It will be interesting to watch the reactions it provokes from other researchers and clinicians.